Worth over $448 million, Republican congressman Darrell Issa is by far the richest congressman in America, so he has a lot to be thankful for. 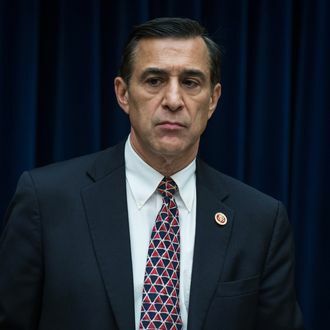 Know who else has a lot to be thankful for, at least according to Congressman Issa? America’s poor people. After all, it’s not like they’re living in one of those *sniffs* third-world countries. “If you go to India or you go to any number of other Third World countries, you have two problems: You have greater inequality of income and wealth. You also have less opportunity for people to rise from the have-not to the have,” Issa said, according to CNN Money. America has actually made “our poor somewhat the envy of the world,” he added. Personally, I’m more envious of the guy with the $448 million than I am of the 48 million Americans living below the poverty line, but that’s just me.